Amparo Museum. 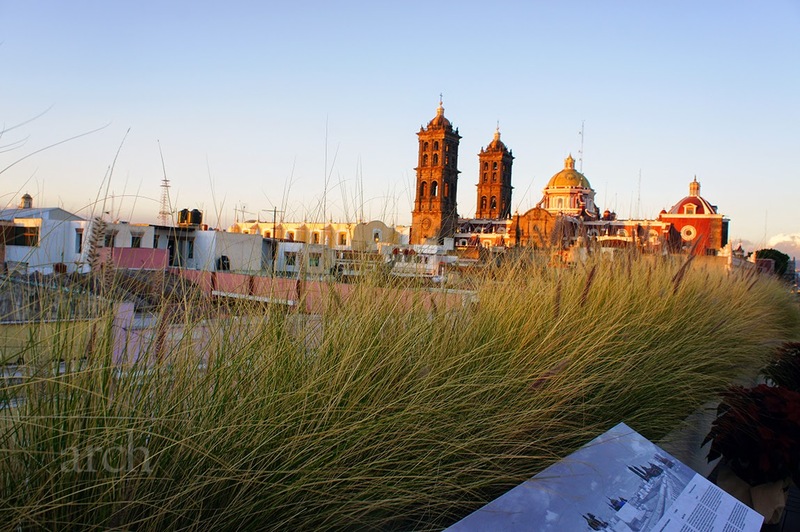 Puebla | Mexico. 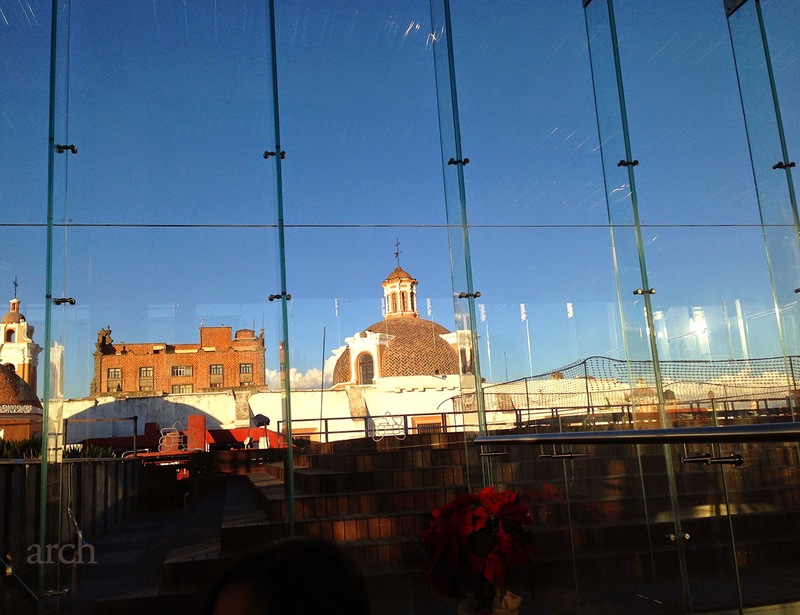 One evening during our trip to Puebla, Mexico in December last year we walked the beautiful cobble streets to reach Amparo Museum. 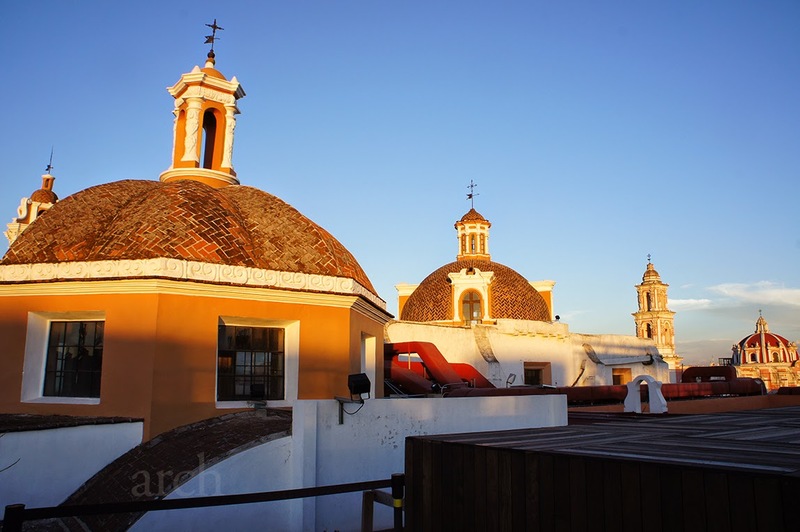 This historical museum is housed in two 17th & 18th centuries colonial-era buildings. 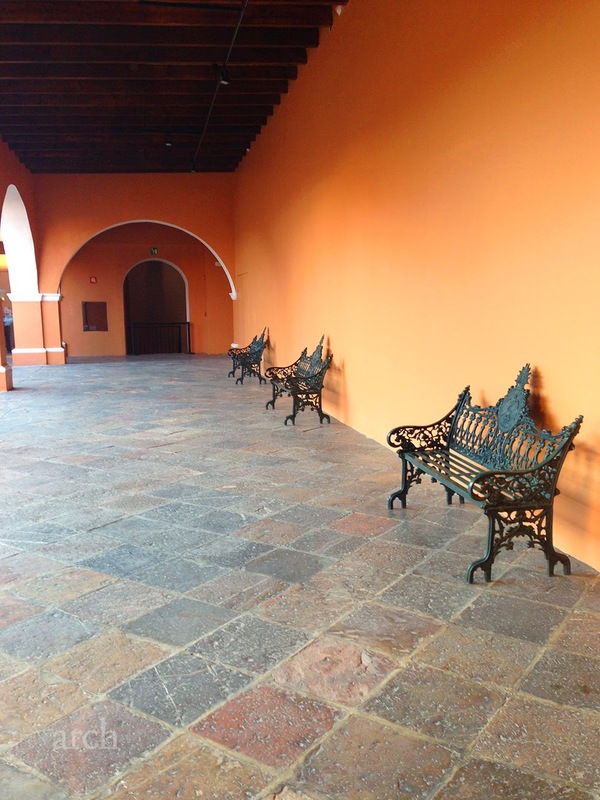 This not-to-be missed historical museum has a permanent collection that traces Mexico’s development over its history. 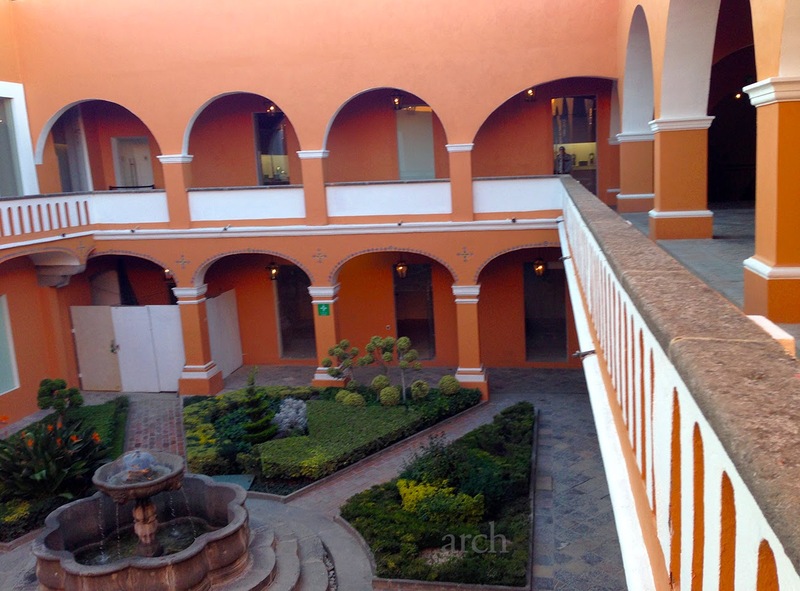 It has the most important collections of pre-Hispanic, colonial and modern art in Mexico. The collection contains jars, figures, steles, altars, sculptures and utensils, from the Teotihuacan, Zapotec, Huasteca, Totonac, Maya, Olmec, Chichimeca, Mixtec and Aztec civilisations. 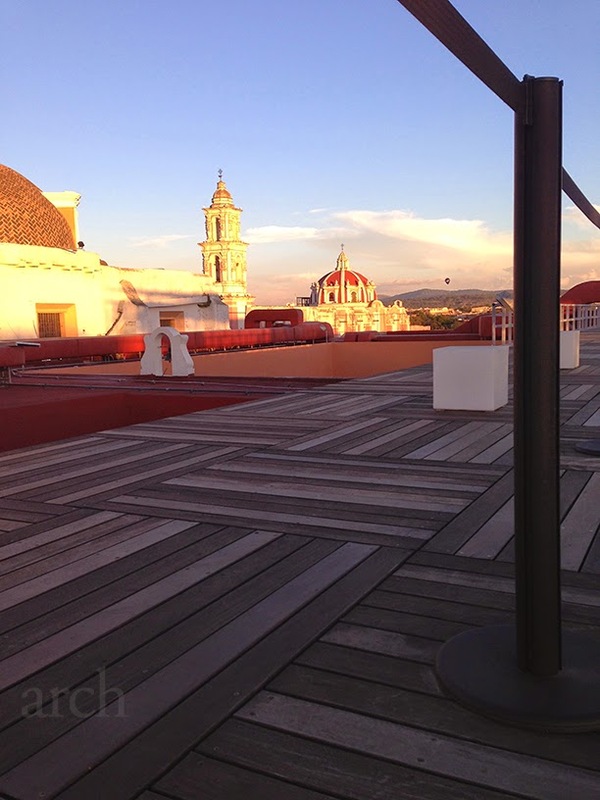 After taking in the fascinating information of Mexican history in the museum, we reached the top floor of the colonial building and were blown away by the beauty of this historical town. 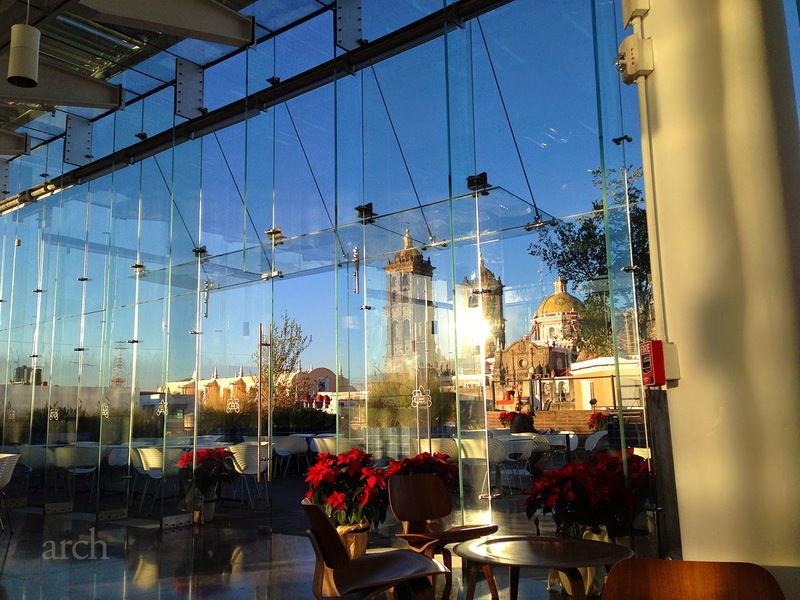 The top floor of the Amparo Museum which has a roof top cafe is done up in a uber modern style with huge glass walls which almost seem to frame the colonial buildings of Puebla. The setting sun cast an orange glow on the cathedrals and colonials building surrounding the museum. 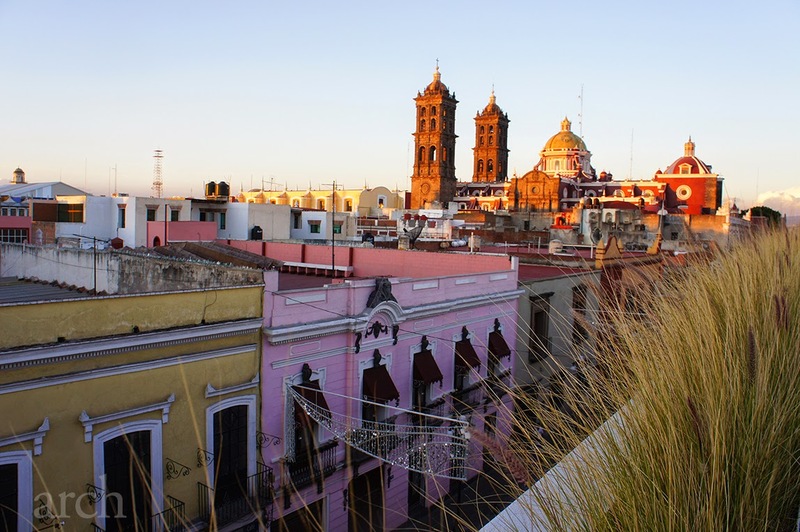 We sat down with our cups of warm beverages to take in the beauty of this historical town of Puebla, listening to the evening chimes from the church bells. 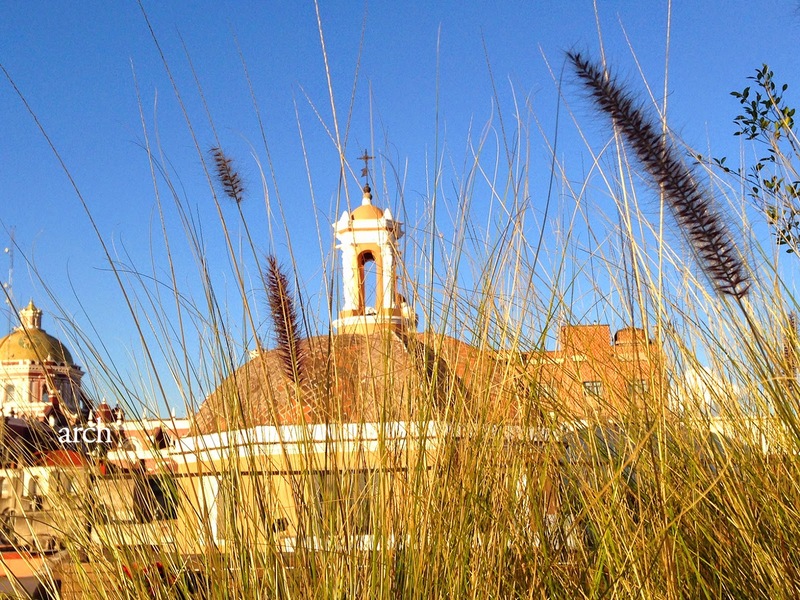 Looking down from the roof top cafe at Amparo Museum. If you find yourself in Mexico. 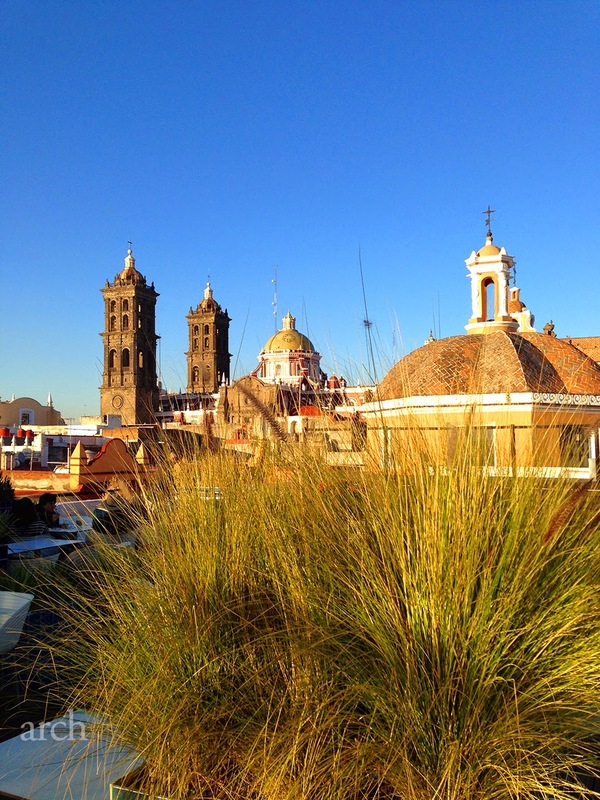 Do make a trip to Puebla and Amparo Museum, you won't be disappointed!